The Fuente family took an extraordinary long period of time to determine which of their rare vintage tobaccos should be blended to produce the now internationally famed Don Carlos cigars. In every way possible, Carlos Fuente Sr. strived to attain the ultimate in rich flavor, flawless wrapper color and superior construction in each and every Don Carlos cigar. Today, cigar connoisseurs from all over the world, as well as thousands of serious American cigar smokers have acknowledged that Don Carlos is ideed outstanding and worthy of the title, "Pride of the Fuente Family". I have been a big fan of the Fuentes brands for quite some time, and this recently acquired "Robusto" is a great cigar. It is well constructed, excellent flavor throughout the entire smoke and fine,slow burn. Tastes great too !! I have had this cigar before, and, again it continues to amaze me ! I usual find that the taste can get old but with the Robusto, it seems to keep my taste palate interested in what the next ir continuing taste will be. Very good burn, even all the way through and smooth. Love this smoke. Fuente gem, always a good smoke and great flavor. One of my favorite cigars for over 20 years! You will not find a more consistent cigar with outstanding quality. While it is not the cheapest cigar, it is a smooth, sweet cigar with an excellent flavor. You will not be disappointed! Results were expected for a Fuente. Results have always been great and reliable consistent quality. Excellent smoke with good finish. One of the World's Best Cigars! Absolutely one of the finest cigars made! Fuente Fuente Opus X is much more expensive but only slightly better if at all in my opinion. Besides the Angels Share, this is my favorite cigar! Smooth,complex and calming! The Don Carlos is the King in the world of tobacco! As with all Fuente products, too incredibly high priced! This is NOT an everyday smoke unless you're a lottery winner! So treat yourself only on special occasions to this beautiful smoke! 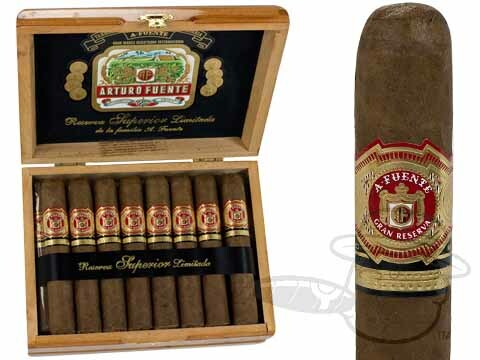 Arturo Fuente Don Carlos Robusto is rated 4.2 out of 5 based on 14 customer ratings.